I don't know what editions you have where each of the seven books includes a different map, but in the beautiful editions I first read as a child, the following map was printed inside the front cover of several (probably all) of the books. 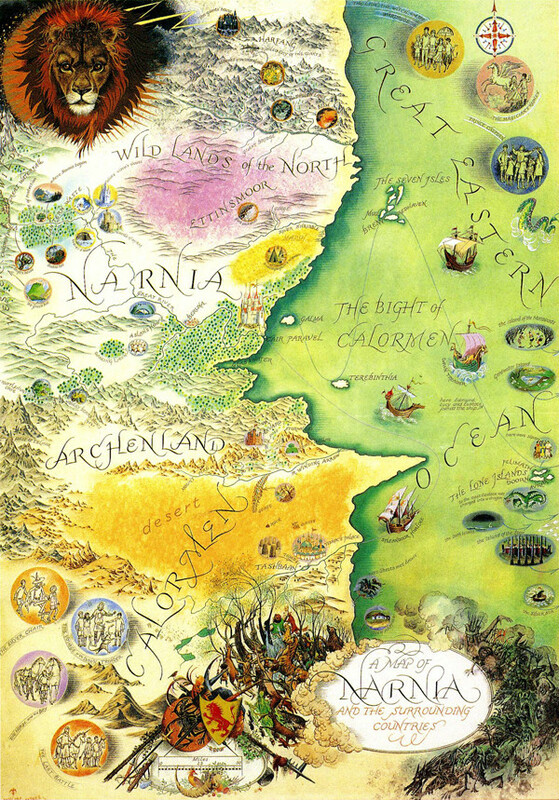 It was drawn by Pauline Baynes, the official illustrator of the Narnia series, and shows Narnia and the surrounding countries (Archenland, Calormene, the Wild Lands of the North, and the Great Eastern Ocean). Note the many small circular icons (which need a magnifying glass to be properly appreciated) depicting significant scenes from the books which took place at the location marked, as well as the seven larger circles representing the seven books of the series. This map is a marvellous work of art. 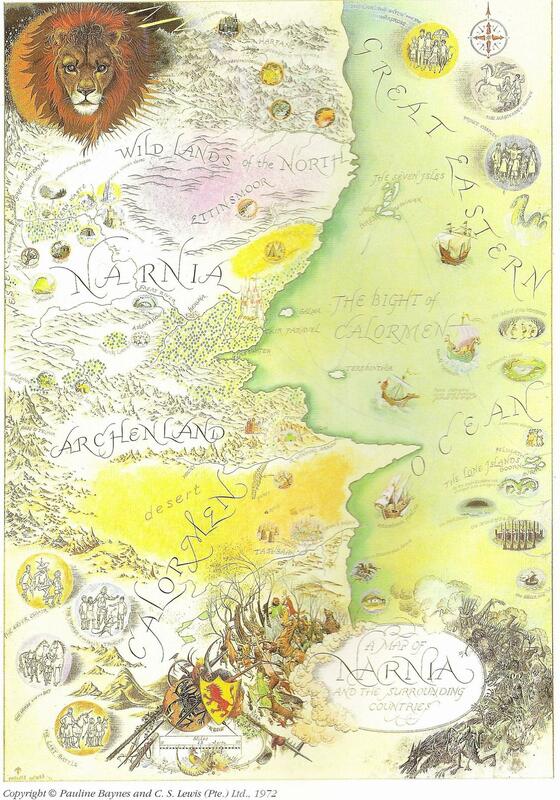 If you're a fan of the Narnia books, it's worth taking a long time poring over this map, reading everything, remembering the books, and appreciating how all the different places tie together. A slightly different map, by David Bedell, is shown on Wikipedia - Narnia (World). As the original image is over 2MB, I can't include it inline, in this answer, but here is a direct link to the original image here. This map is somewhat larger than the image provided by Rand al'Thor in his answer above. It also details the Eastern Ocean a little more, as well as showing the Silver Sea. Telmar is also illustrated, rather than just having the "Pass to Telmar". Unfortunately, though, due to the overall breadth of the map, the detail of Narnia itself is a little cramped. Not the answer you're looking for? Browse other questions tagged narnia cs-lewis map or ask your own question. Is there a full map of the Redwall world?